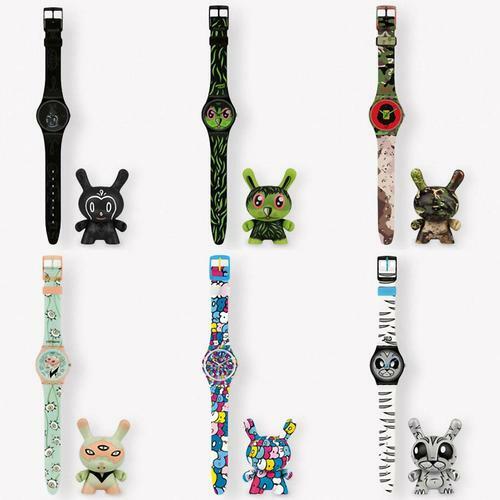 Kidrobot teamed up with Swatch to release its latest series of Swatch watch and matching Dunny. If you like this kind of Swatch watch and vinyl toy, let’s go on checking. 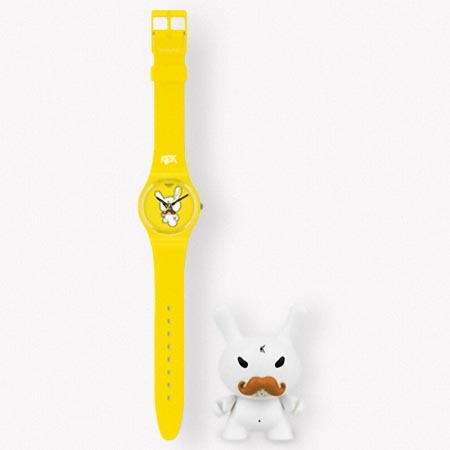 Kidrobot for Swatch series consists of a Swatch wrist watch and a matching Dunny vinyl toy. At present, there are 8 specially designed watches and Dunnies, including Kidrobot for Swatch Shout Out, Midnight Mag, Tic Tic Boom, The Eyes Are Watching, Love Song, Bengali, The So Far Away and Ski Instructor. Each design comes from famous toy designer such as MAD, Gary Basement, SSUR and etc, and each stunning design has artfully applied to the analog watch and the 3-inch vinyl toy. Apart from that, the set also comes with a clear box for preservation and display. 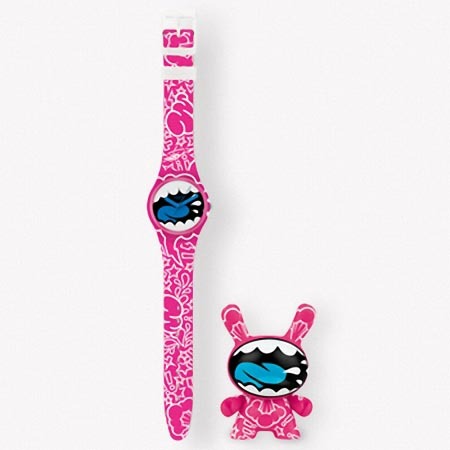 At present, the set of Kidrobot Swatch watch and matching Dunny is priced at $70 USD. If you’re interested, jump to Kidrobot official site for more details.